Think Secret was forced to close its doors on Thursday due to Mac Mini reporting dating back to 2005. After nearly three years of legal jockeying, Apple and a popular internet rumour-mill have agreed to a settlement that resulted in the closing of the well-known website. 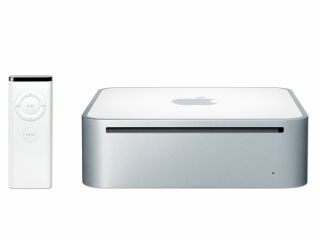 Filed back in January 2005, Apple's lawsuit alleged that Think Secret illegally posted the company's trade secrets on the site and asked its publisher Nick Ciarelli to divulge all sources he used to gain the information.The suit arose after Ciarelli posted a story about the impending launch of the Mac Mini two weeks before it was announced. Although he started the site when he was just 13, Ciarelli claimed that he's happy with the way the case was settled and was extremely delighted that he wasn't forced to tell Apple who his sources were. "I'm pleased to have reached this amicable settlement, and will now be able to move forward with my college studies and broader journalistic pursuits," he said in his statement. The details of the settlement other than Think Secret's immediate closure are unknown, but Apple was also happy with the way it was finally handled. "We are pleased to have reached this amicable settlement and happy to have this behind us," an Apple spokesman said. Widow PC announced Thursday the immediate release of its Sting 517D2, which, according to the company, is the first notebook to offer NVIDIA's new GeForce 8800M GTX mobile graphics chipset. The 17-inch system comes with a 1.8GHz Core 2 Duo, 1GB of memory, a 40GB hard drive and a 1680 x 1050-pixel resolution. Prices start at $2,799 (£1400). Samsung launched a new notebook on Tuesday that adds a significant jolt to its Aura line of laptops. Dubbed the R700, the system sports a 17-inch display, a GeForce 8400M GS graphics chipset, HDMI output and a 1.3-megapixel webcam. Look for the R700 to be made available in January for $1,187 (£599).